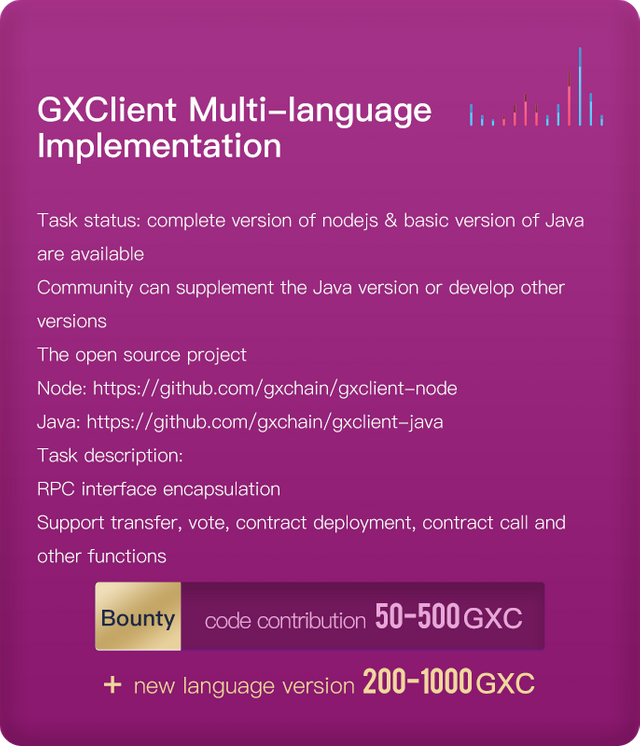 In order to establish a quality community in which everyone can be highly involved and encourage more people to participate in the development and governance of GXChain, GXChain recently officially launched a technical community incentive scheme. The GXChain foundation will dedicate 1,000,000 GXC to long-term building incentives for the developer community. Hope community members and supporters can actively participate in and jointly promote the construction of GXChain technology community. 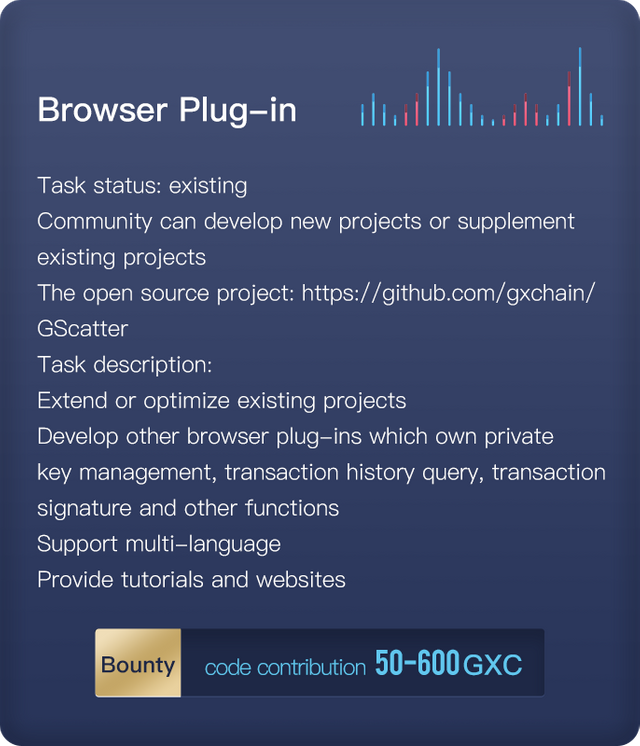 From now on, developers can join our developer community, follow our twitter @GXChainGlobal and obtain task information. 1. 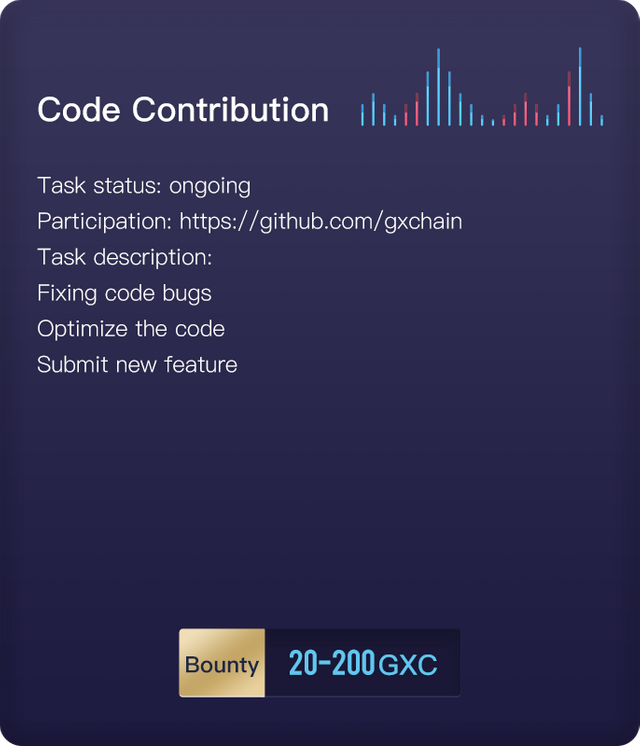 Developers can collect task and check out task progress via gxchain.org. 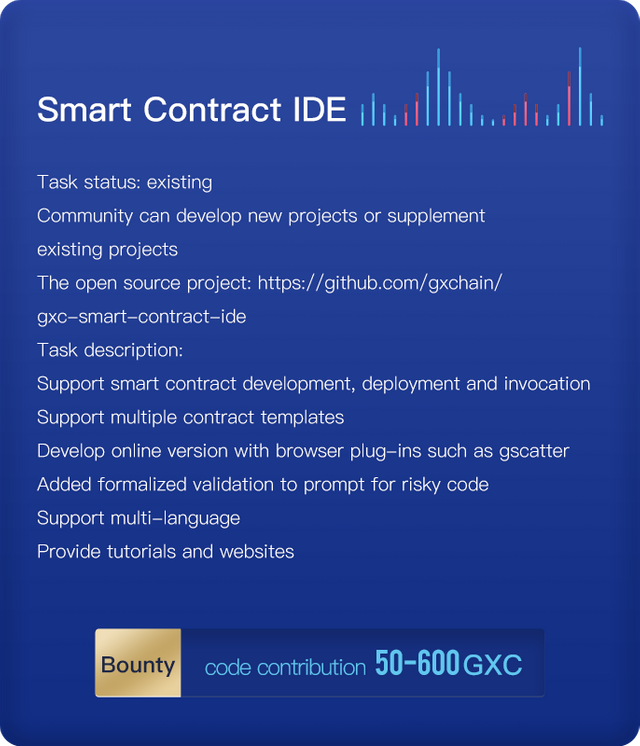 Submit GXChain developer incentive scheme task application and you will get reply within 2 working days. You can obtain 8% of the task bounty once the person you recommend gets the task done. You will also become a GXChain community bole and win peripheral reward. The bounty is determined by the duration and difficulty of the task. We will keep optimizing tasks collection methods and incentives to let developers can better collaborate and receive more rewards. Above information will be published on Twitter, Telegram, gxchain.org, Blockcity and GitHub. Developers will be evaluated based on quality of completion. Higher scorers are more likely to have higher priority and get more payment. The project rating will be announced at 18 PM (UTC+8) on the 30th of each month, and the ranking will be updated officially. The top three will be announced in the community, and may receive honors and peripheral rewards. 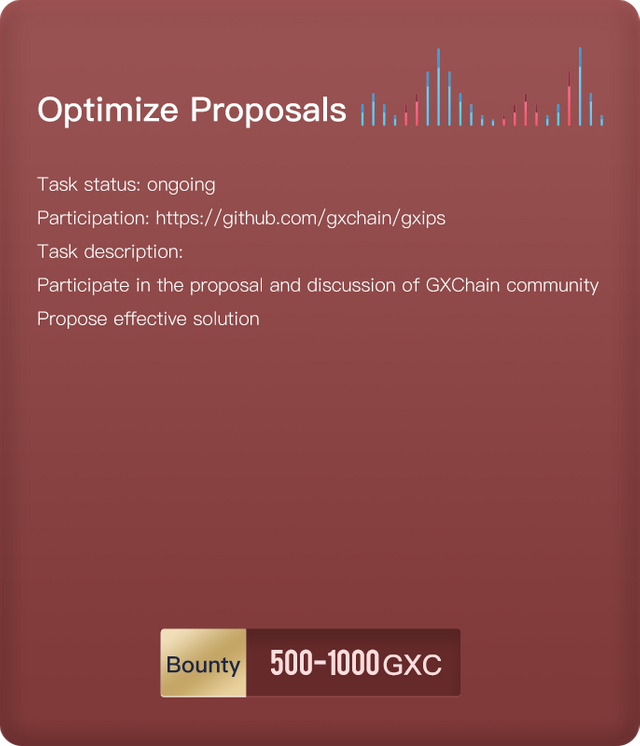 GXChain foundation will assess the submitted project. GXChain foundation has right to be informed for task termination or delay. Task bounty is not available for unfinished projects. For substandard projects, GXChain foundation has the right to require developers to improve, and if the quality is below expectation, GXChain foundation has the right to unilaterally suspend cooperation. GXChain owns intellectual property once the project is submitted, any type of use for commercial purpose without permission is prohibited. 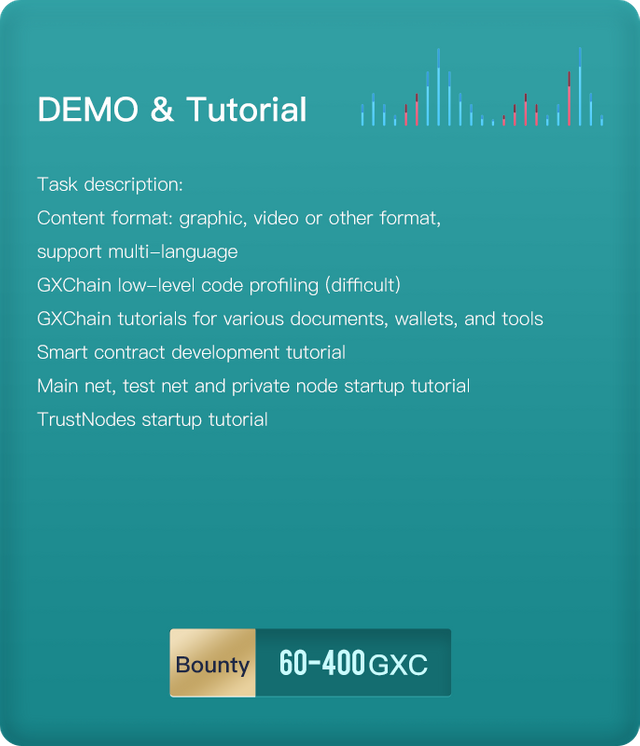 GXChain foundation will continue to optimize the task quality management standards. GXChain foundation reserves all the right for the final explanation of GXChain developer incentive scheme. 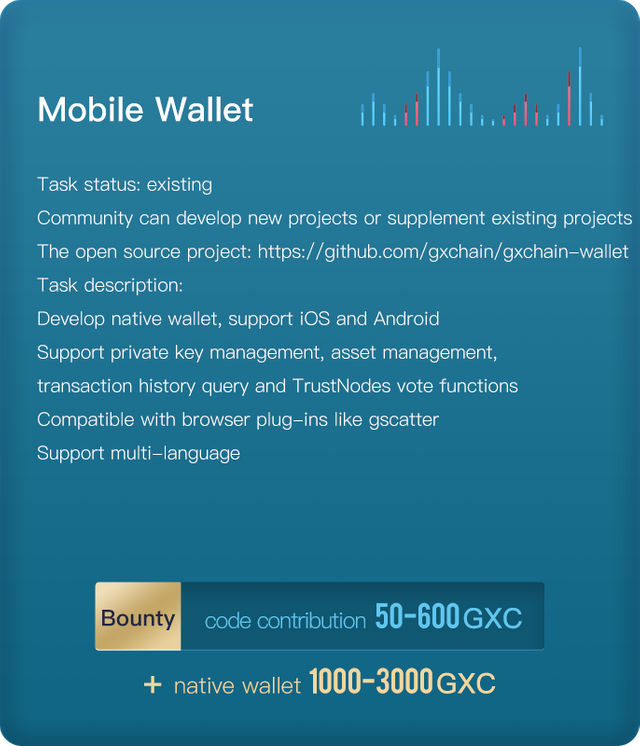 Please do not hesitate to contact us for further question dev@gxchain.org.